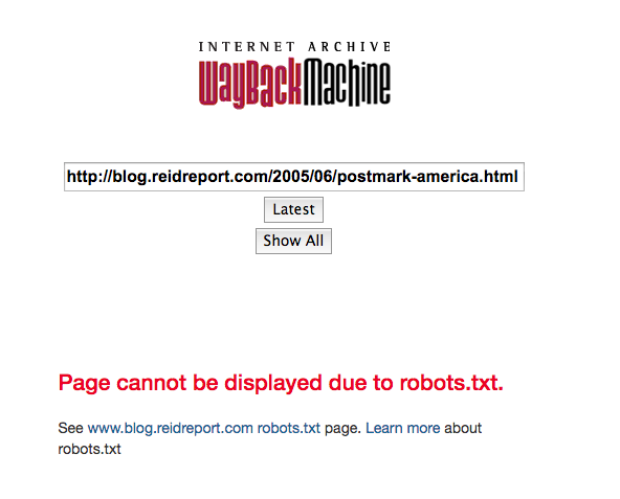 A number of old posts from Joy Reid’s blog “The Reid Report” have disappeared from the “Wayback Machine” internet archive as of Friday afternoon. On Thursday, The Daily Caller reported on two blog posts that Reid made in 2006 that contained criticism of Israel-supporting Americans and Wolf Blitzer for his reporting on Israel. 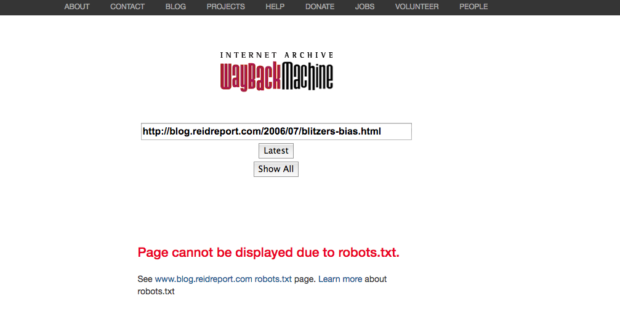 The general “blog.reidreport.com” gets the same error message when it is searched on the Wayback Machine. 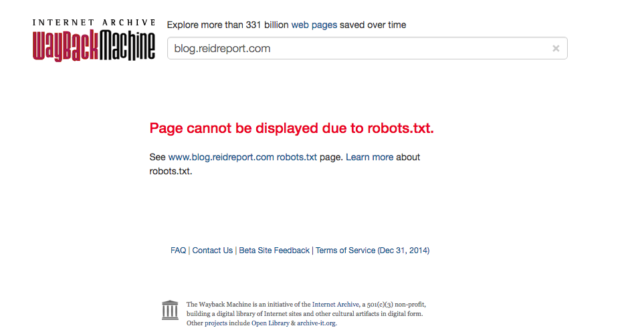 Multiple other links from the Reid Report are no longer functional. 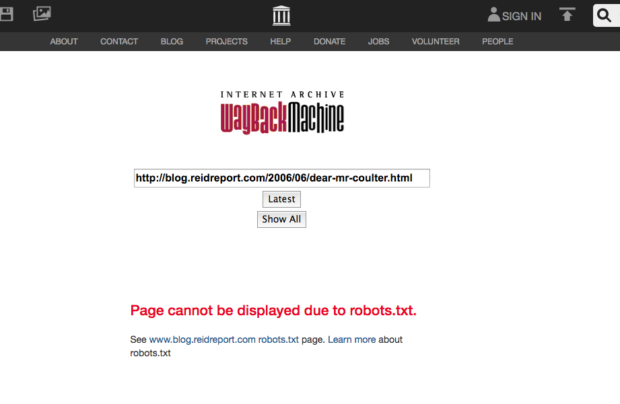 TheDC reached out to archive.org, which manages Wayback Machine, but did not receive a comment in time for publication. 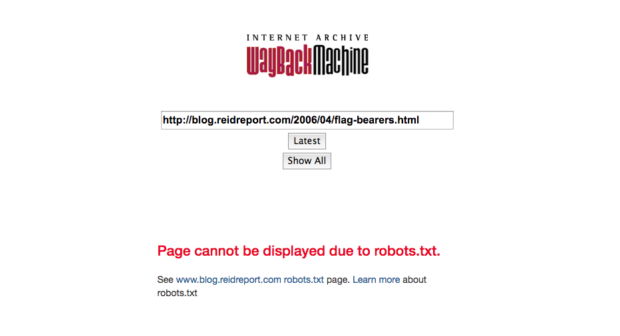 The two Wayback Machine links from Reid’s blog put in BuzzFeed’s recent article, “Joy Reid’s Blog Published A Photoshopped Image Of John McCain As The Virginia Tech Shooter,” are also no longer working. 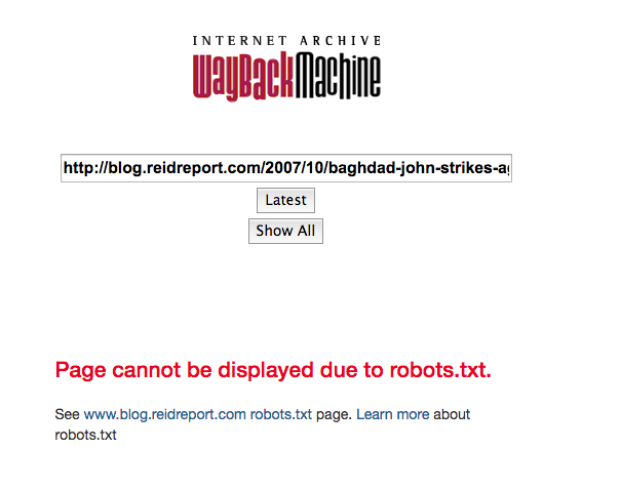 “Baghdad John Strikes Again” and “Postmark America” display the same “Page cannot be displayed due to robots.txt.” message.